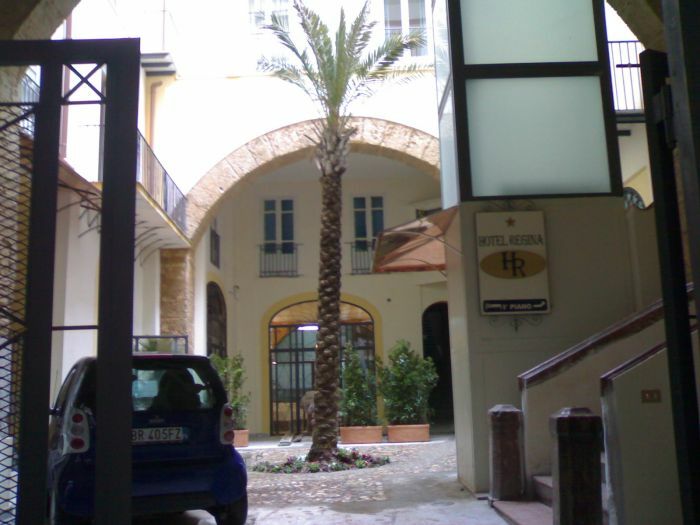 about hotel Regina in Palermo ... Hotel was very nice and clean.Atmosphere was nice and friendly:) Location is nearly city center so for as was perfect! If there will be possibility we will back there. HOTEL and HOSTEL REGINA. 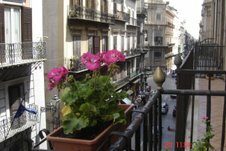 SPECIAL PRICE for SPRING in Palermo EURO 20, 00 for person/night in double room shared bathroom. Francesca and Manuela and all the team at HOST is ready to welcome you! "THE POSITION": 1^ floor with LIFT , the hotel is located in the city center in a safe area between the Cathedral and The Quattro Canti, and distant only few minutes by foots from the train and bus station. 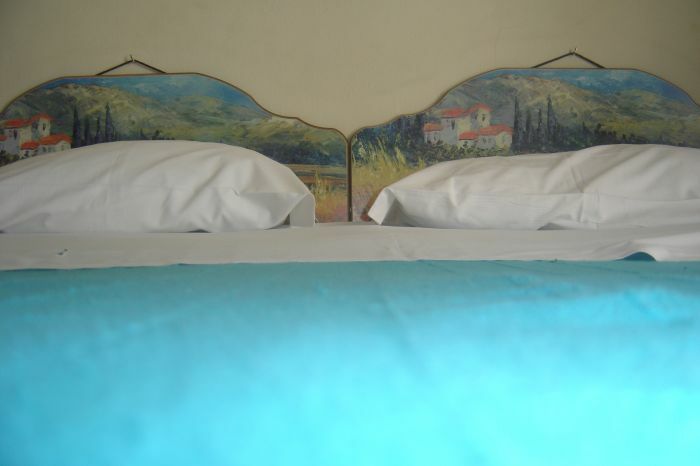 "THE ROOMS": With private bathroom or with washbasin(toilet/showers on the corridor)and included in the price: Free The and Caffe in the morning, Bedlinen and Towels, Sapon-shampoo, TV , Heating in the winter, Fans on the roof, Free Wireless. Free Maps. Free Luggage Storage. Travel information. Free baby-bed on request before the arrival. "NOT CURFEW": The Hotel is opened 24 hours ... not problem for the check-in in the night we will wait you. Please advise about the time of arrival. "THE PAYMENT":it will be made at your arrival. IF YOU HAVE THE CAR ... At your arrival you can enter in the courtyard of the hotel to leave your luggages and then we will help you for choosing the parking. 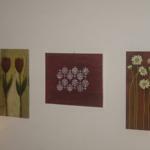 There is a square with a part as opened-parking at five minutes walking from the hotel or in the neighrbour there are private car-parkings at payment with special price for us . Free parking for moto and bycicle in the court of the palace. 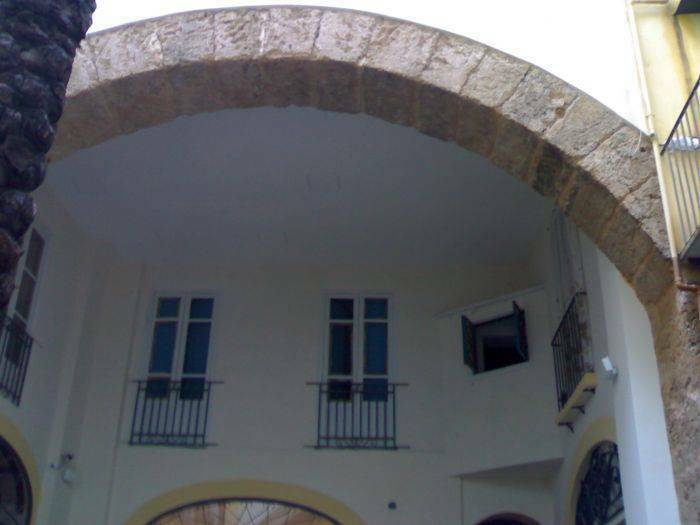 It is a tipic sall restaurant where a palermitan family is in the kicthen. Very good and very cheap. The most famous and tipic local in Palermo where you can eat all tipic palermitan dishes like Bread with Milza or Bread with Panelle. Good Pasta and Good Price. Very near(down the hotel). The prices are for the room for night. Reduction for groups of 10 or more people 5% on the total. You can cancel the reservation by email or by fax 72 hours before your arrival and the deposit will be lost. If you don't cancel and you'll not arrival we can use your credit card for the payment of the total stay. 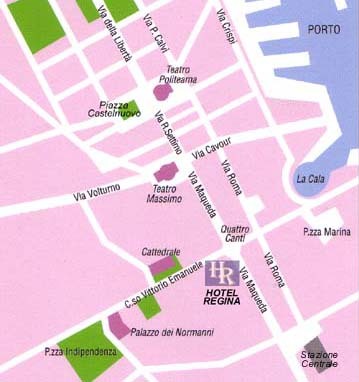 WHERE WE ARE The Hotel Regina is situted in the hearth of the historical centre in Palermo and it is easy to arrive here. The central station, from which every 30 minutes starting the bus to and from the international airport Falcone ï¿½ Borsellino, is distant only 15 minutes by foot, the port is easy reaching by foot or by bus The sea and the beach you can reach in 30 minutes with an efficient public bus service. "Look up walking on Corso Vittorio Emanuele and find the sign of Hotel Regina... so you are at the hotel." Walking throught Via Maqueda then at the fisrt traffic light, the cross with Corso Vittorio Emanuele turn on the left and after 10 mtrs on the left side at the number 316 there is the Hotel Regina. From harbour walkimg throught Via E. AMARI and you will arrive on Piazza Castelnuovo-Theatre Politeama and from here by bus n. 101 to the central station and stop at the Quattro Canti(ask to the driver bus).. Nearest airport: Airport : Palermo - Punta Raisi (Falcone - Borsellino) is distant about 25 km By bus or metro stop at Palermo Central Station.